Republican Presidential hopeful former Utah Gov. Jon Huntsman and his wife Mary Kaye wave to the crowd as he holds his last town hall event where he kicked off his campaign. 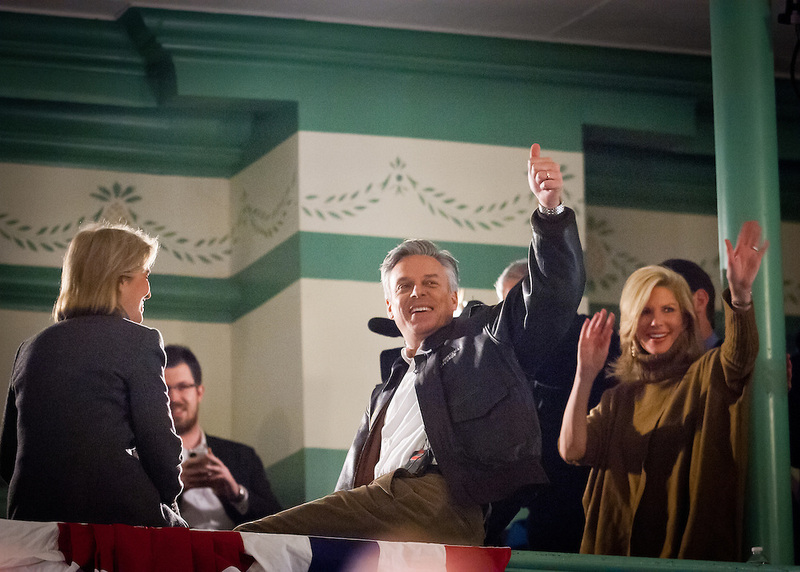 It was Huntsman's 170th event on the eve of the NH Primary. Exeter Town Hall in Exeter, New Hampshire.